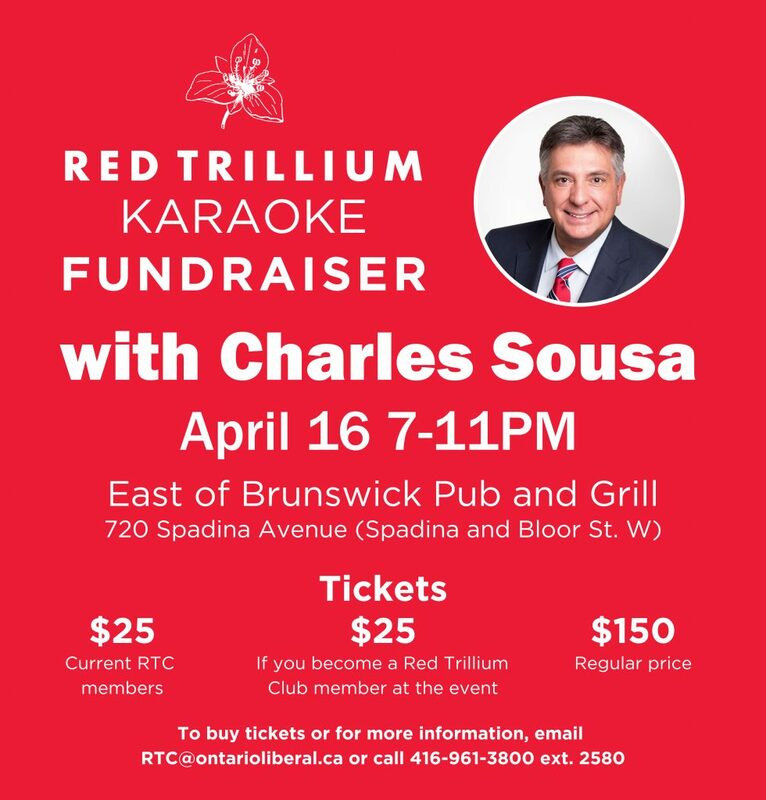 We are pleased to announce a special event coming up on April 16 – a night of karaoke with Charles Sousa! Tickets are just $25 for Red Trillium Club members, including those who sign-up for a $100 per-month one-year RTC membership before or at the event! The event will be held at the East of Brunswick Bar and Grill, 720 Spadina Avenue, from 7 – 11 pm. Munchies will be served and there will be a cash bar. To purchase a ticket, email RTC@ontarioliberal.ca or give us a call at 416-961-3800 ext. 2580. Space is limited and we’re expecting a big crowd to join in the fun, so make sure to grab your ticket today! P.S. After generous provincial tax credits, your RTC membership will cost you just $1.36 per day. That’s less than a cup of coffee! To become a member of the Red Trillium Club, click here. To purchase tickets for the fundraiser, click here.